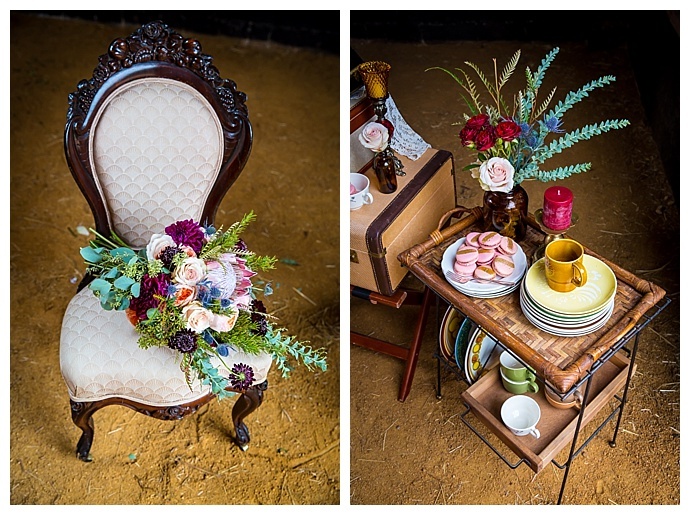 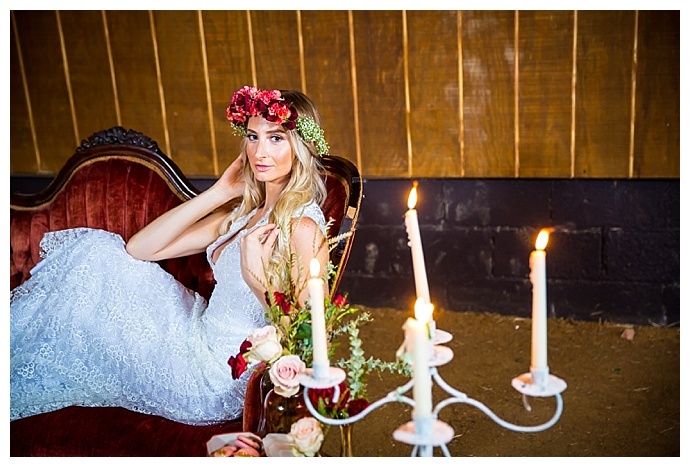 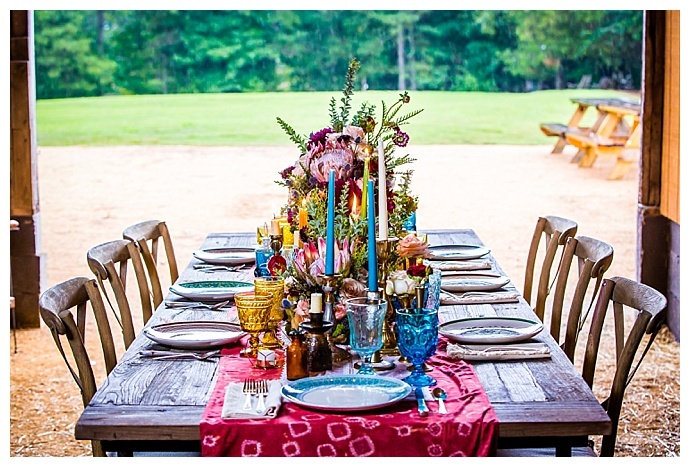 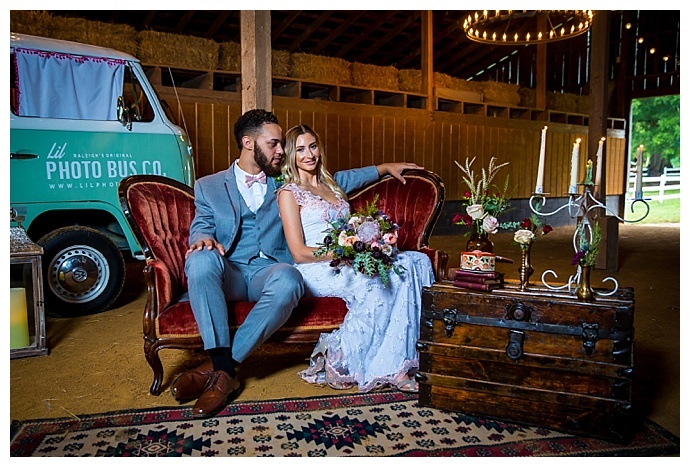 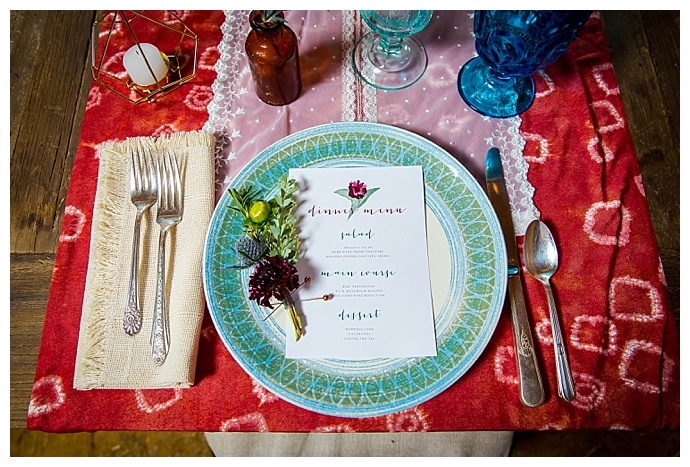 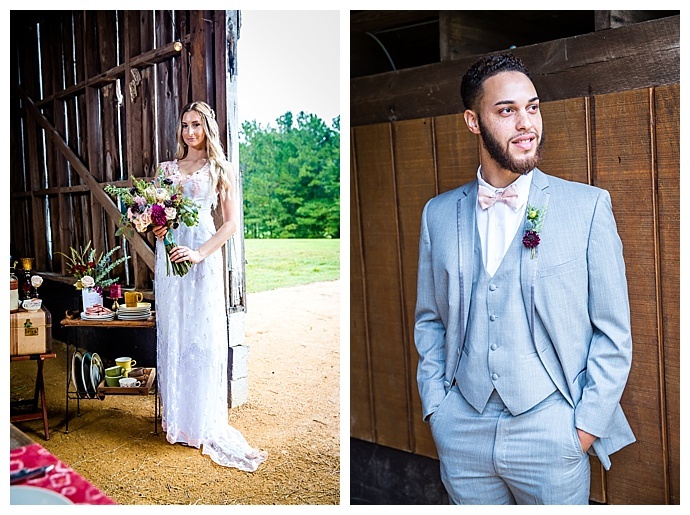 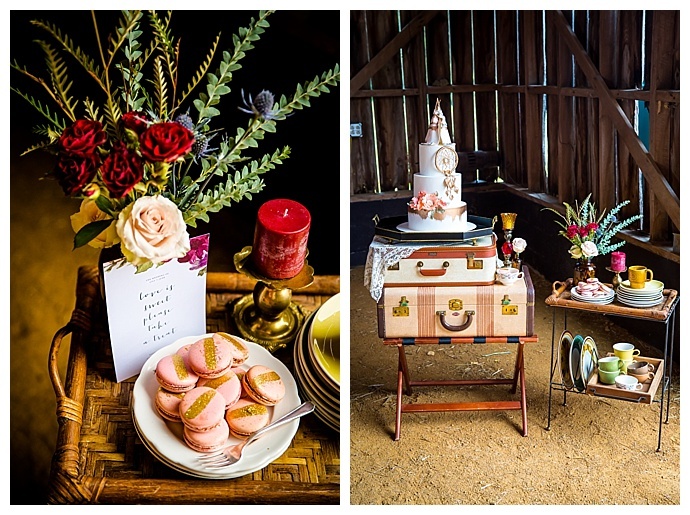 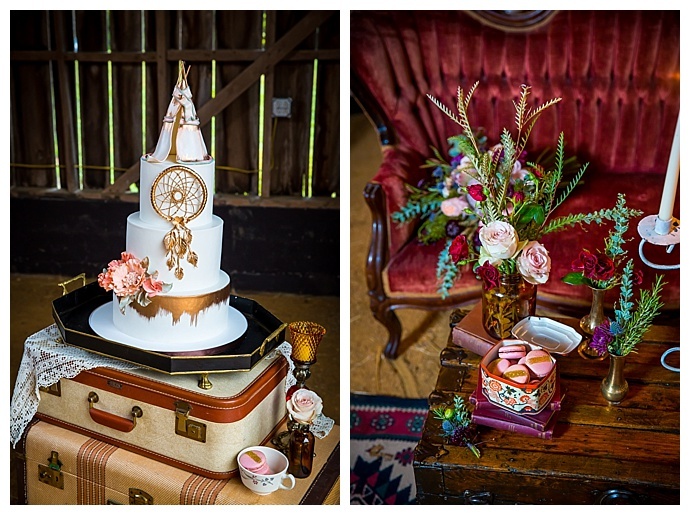 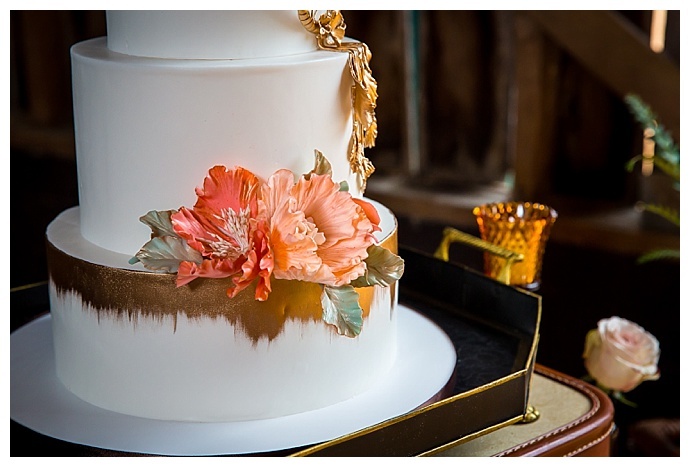 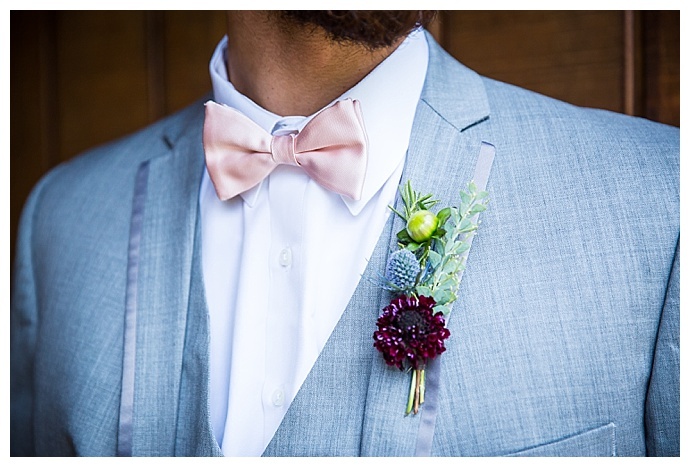 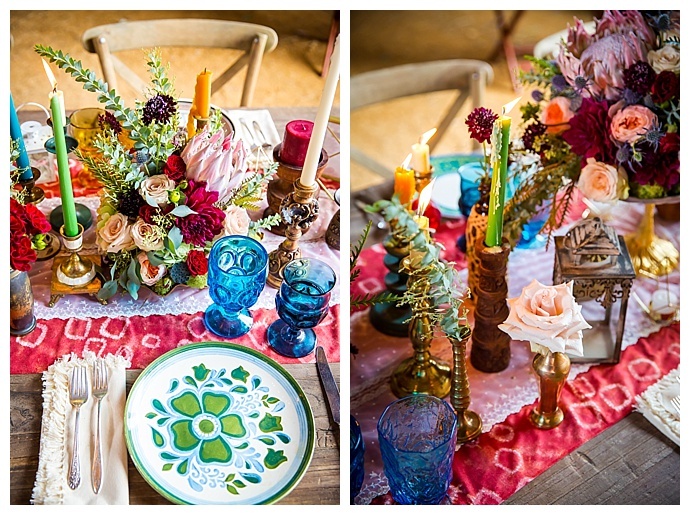 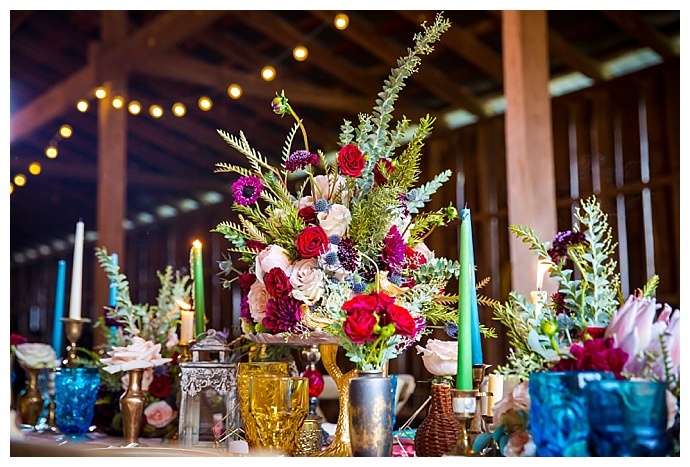 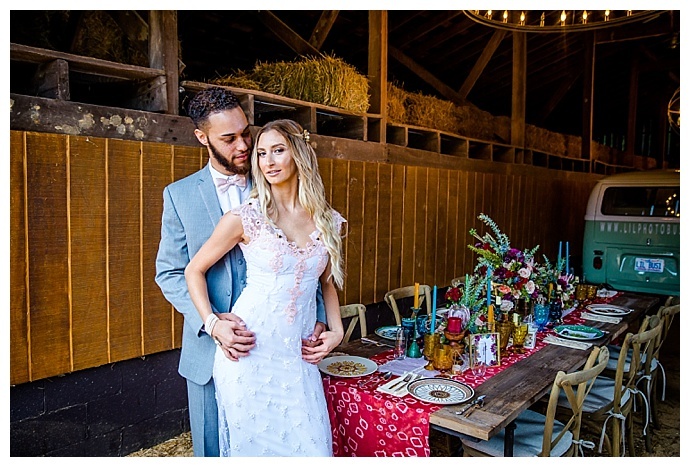 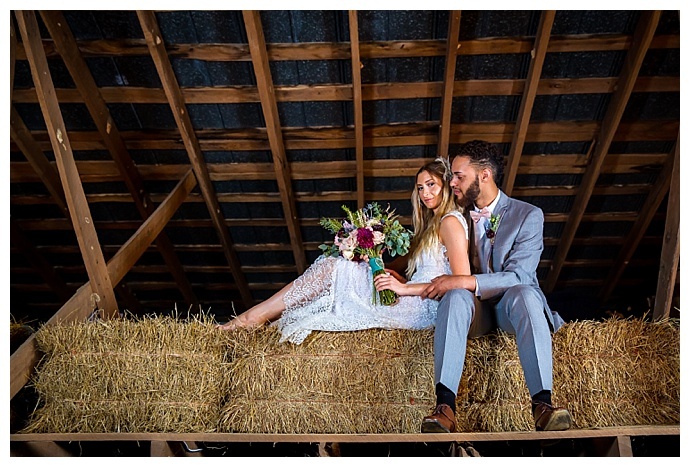 Today’s styled shoot by Red Bridge Photograhpy is a bohemian dream in a rustic setting. 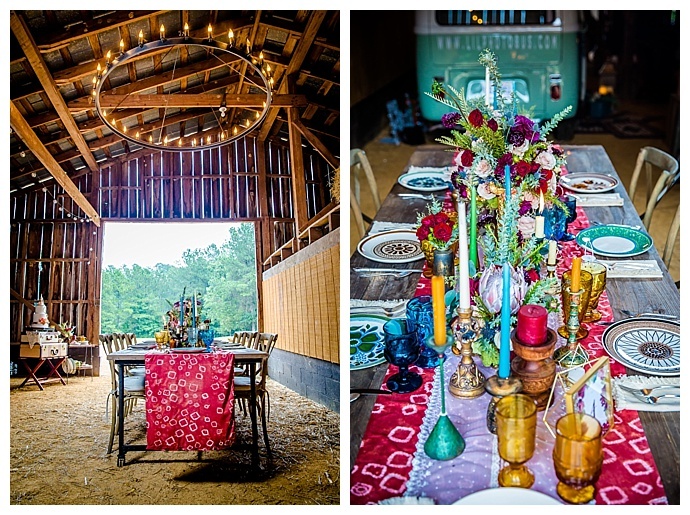 Tucked around the corner from UNC Chapel Hill, this cozy barn at 1870 Farm was brought to life with bright pops of color and charming decor. 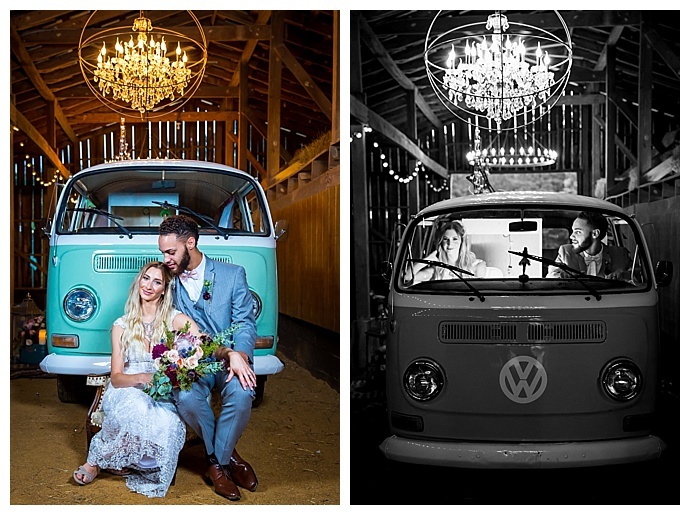 From a vintage Volkswagen bus photo booth to a remarkable white wedding cake with incredible gold detailing, there’s so much to love about the details in this shoot. 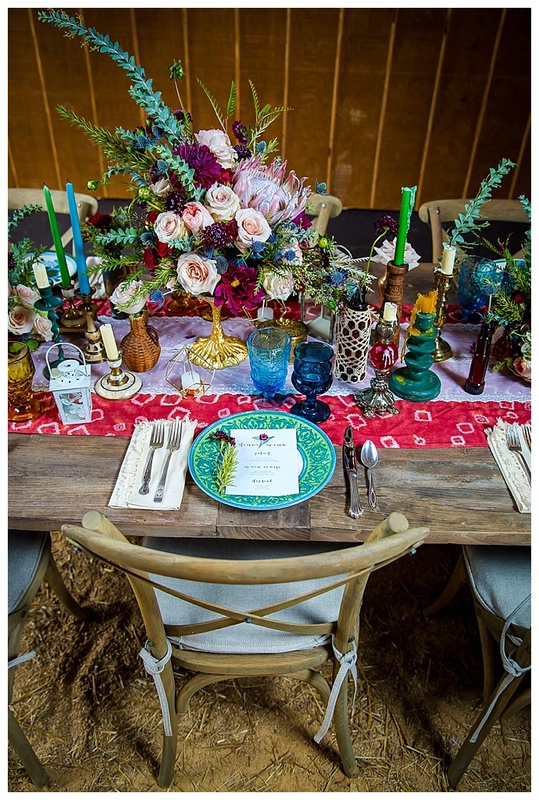 We especially love the way the incredibly lush floral arrangements crawl across a table filled with colorful candlesticks, bohemian glassware and vintage plating. 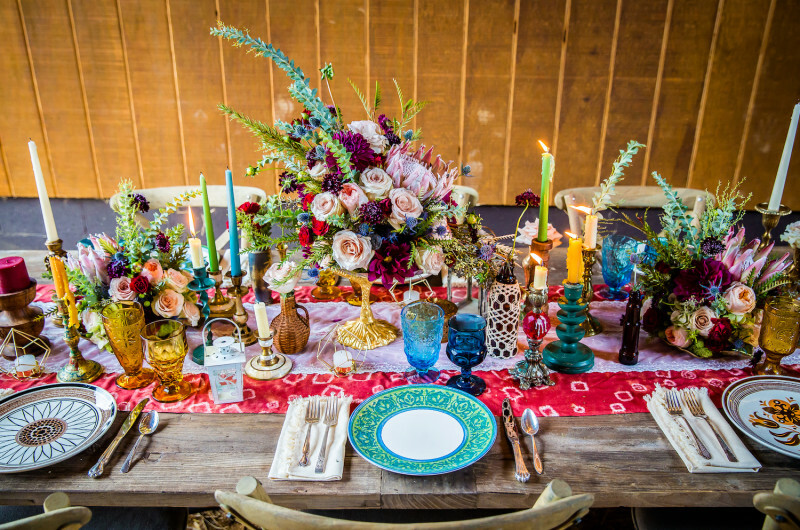 In true marital fashion, this inspiration shoot proves that two of our favorite styles — bohemian and rustic — can come together beautifully as one.